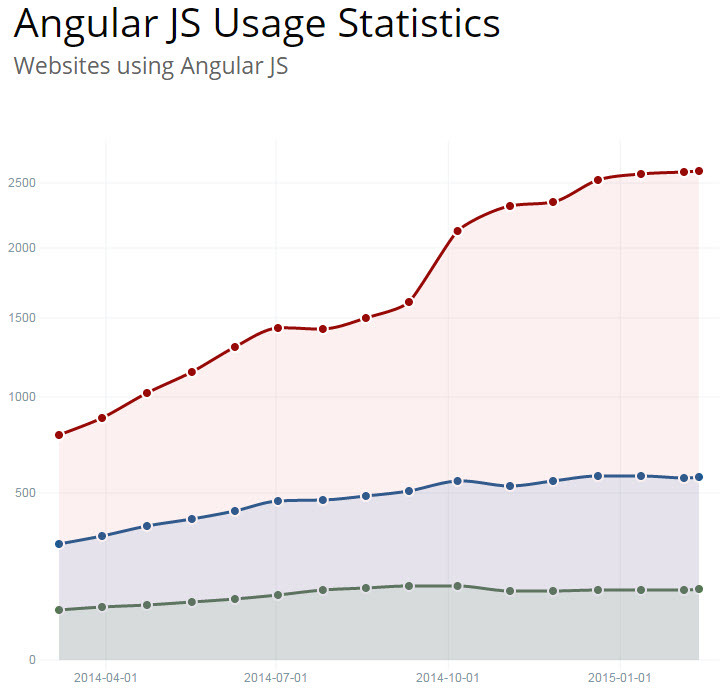 Here are some trends for AngularJS for 2015. As we all expected AngularJS is trending well as we can see on this Google Trends Graph. Regional Interest as usual mean sweet fa with India seemingly being the dominant force in programming language trends. 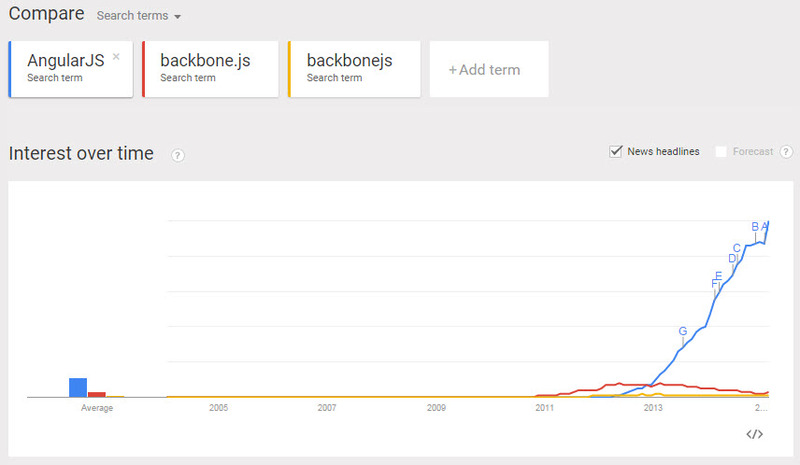 AngularJS seems to have killed key competition Backbone.js according to recent trends with the pivot point at 2013. Others such as Emberjs and Knockoutjs didn’t even make a dent in the trends to I didn’t bother adding them. According to Builtwith trends Angular is being used more often in websites in general but has yet to have a big impact on the top 10k sites, as expected. 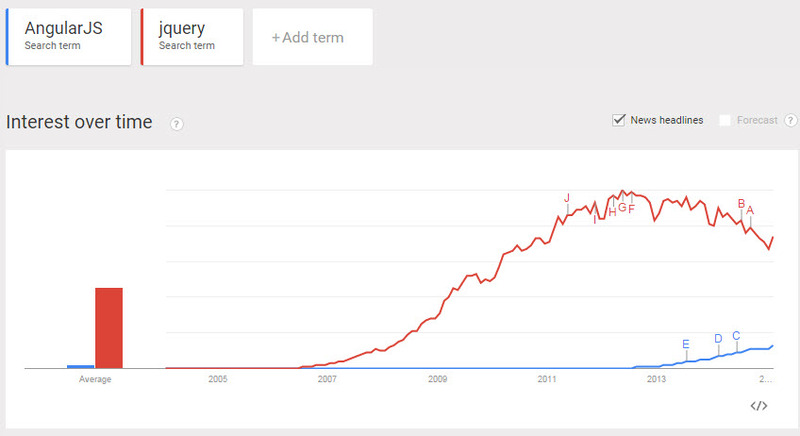 AngularJS vs jQuery popularity for 2015 you can see the gap closing as we all expected it to. However, the gap is still pretty huge so I wouldn’t expect the lines to meet anytime soon. *NOTE: ALL TRENDS VALID AS AT 21/02/2015.